The Pruliers vineyard is just to the south of the town of Nuits Saint Georges on a line that runs down to the famous Les Saint Georges lieu dit which is rumoured to be getting grand cru status... one day. This NSG 1er Cru from the Domaine Henri Gouges starts with a mute nose reminiscent of a dusty attic. A hint of plum, it's not remarkable in any way. Possibly a touch of plum schnapps picking up a 2016 vintage characteristic: alcoholic heat. Decent ripe fruit on the palate. The structure is round and short and the texture is soft. Not typical of NSG. Priced at £700 for a case of 12 bottles in bond which is £72.60 per bottle on the dining table. The 2015 version is "just" £550 per case. Hard to see why anyone apart from gamblers would add this to their cellar. Scores 66-70/100. 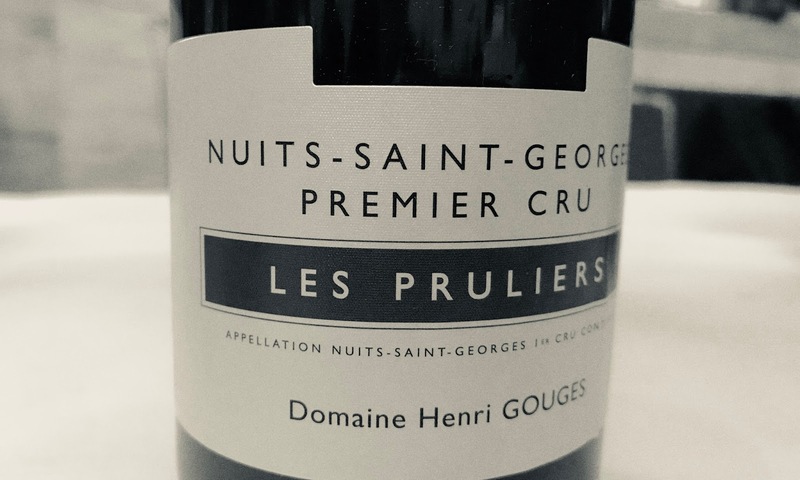 Overall, the Henri Gouges wines were not showing well and would merit a refresh in the summer of 2018 on a fruit day!